Brigade Northridge Pre Launch Residential Project from the reputed builders of Bangalore, Brigade Group. 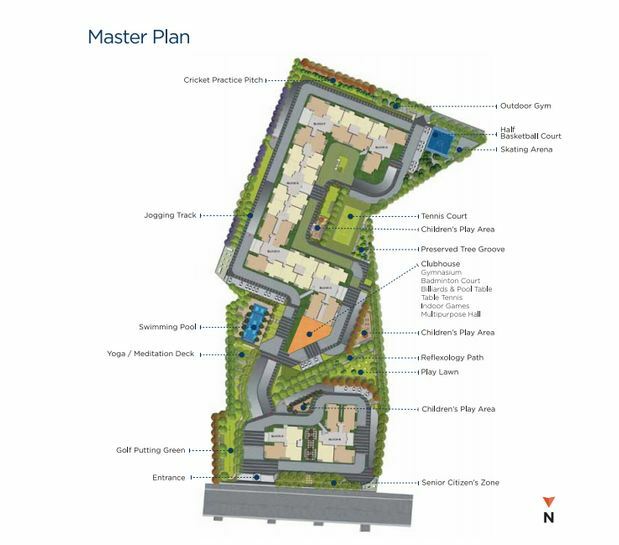 Project is located at the most preferred destination of North Bangalore, near Kogilu Cross, Jakkur.The vast lands of greenery and scenic beauty makes it an ideal location for a dream home amidst clean, green & non-polluted environs. Project is well connected to the major parts of the city like Kempegowda International Airport, Hebbal, Yelahanka, Jakkur and many more. A lot of world-class Educational Institutes, Hospitals & Health-care Centers, Places of Worship and upcoming Entertainment Hubs adorn the near vicinity. 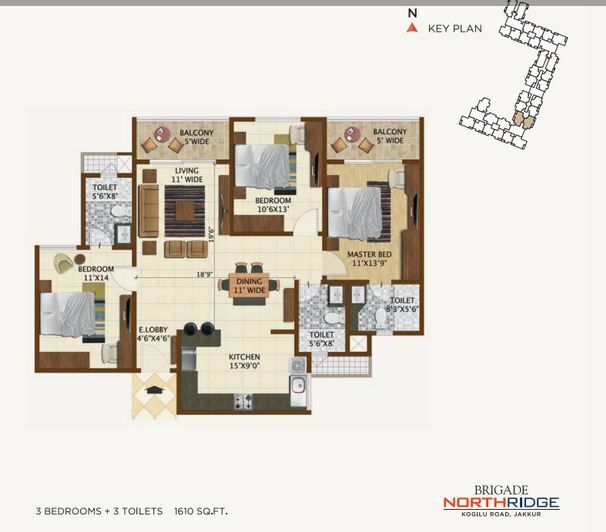 Northridge includes finest of amenities, that modern architecture can offer and high end specifications. 1) Where and what is Brigade Northridge? 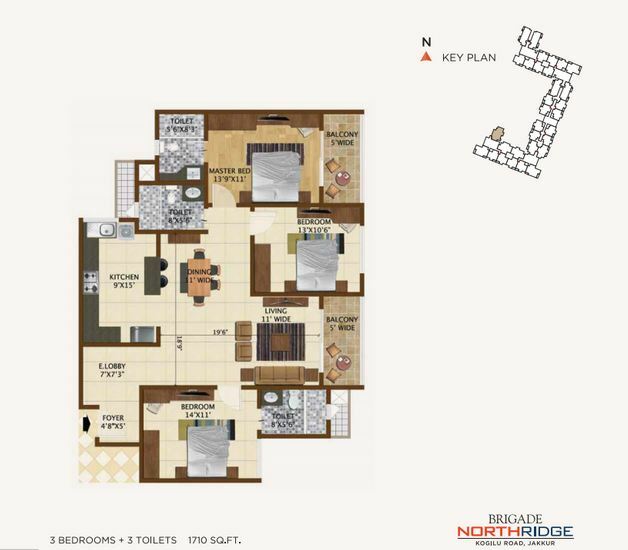 Brigade Northridge project is a residential development off Tumkur road Bengaluru set in 7 acres, having B+12 floors with a total of 540 apartment units. 2) What are the key features of the property? It consists of well planned residential development. It is a strategically located at Kogilu cross, Jakkur, comprising of smartly designed apartments with the best possible premium amenities. It has a combination of 2 and 3 Bedroom Apartments to pick and choose from. 3) What are the different types and sizes of apartments? 4) Is this a phased development? What is the timeline for completion? This is a single phased project with completion by 2017 December. 5) Which is the nearest land mark to this project? The nearest land mark to this project is Legacy Eldora. 6) What is total Land area? Project covers 7 Acres of development area. 7) What is project Pre Launch Date? 8) When is project Launch date? 9) When is the possession date? Fourth Quarter of December 2017. 10) What is project completion time frame? The completion would take 2.5 years from the launch date. 11) Is this project Vastu complaint? The project is 100% vastu compliant. 12) Is the model flat available? Can we have a look at it? Yes, the model flat is ready. One can visit the site to view the model flat. 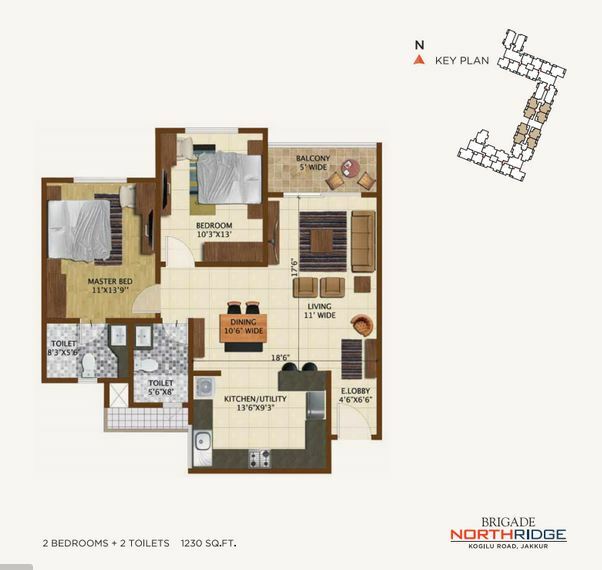 13) What are the different face available of 2 and 3 BHK? 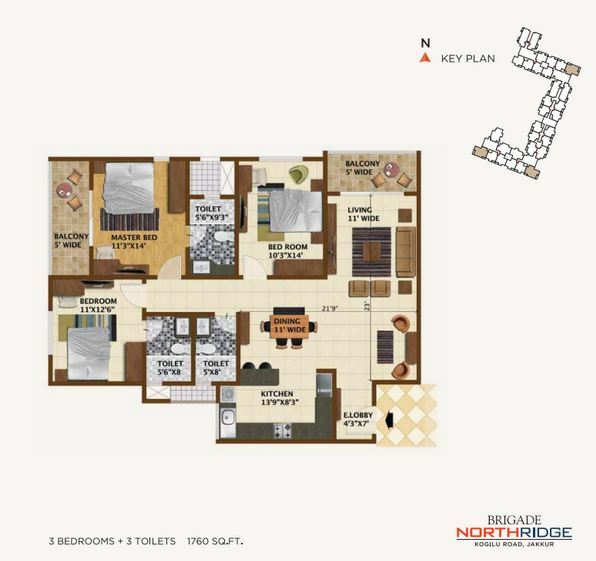 The 2 and 3 BHK units are available in North, East, Northwest and West facings. 14) How much I should pay on agreement? The payment to be done during agreement is 20% of Sale value. 15) Is there any differential pricing based on the floors or orientation of apartments? Yes, Premium charges are applicable as per units. And there will be a floor rise of Rs. 20 per floor. 16) Is there a Clubhouse? What is the Size of Club House? Yes, The size of the club house is 20,000 sqft. 17) How are installments to be paid and is it time bound? No, it’s not time bound payment rather it is construction linked payment. Payment to be done in 13 installments. 18) When does the development start and when can I expect to move into my new home? The construction starts by Dec 2014 and completion will be by December 2017. So one can move into your home by January 2018. The Govt. body BBMP has sanctioned the project. And the banks which have approved the project are SBI, LIC, AXIS Bank, CITI Bank and HDFC Bank. 20) What will be the scope of maintenance? Rs. 3/sft will be charged as the maintenance cost. 21) What will be the price appreciation at possession? The price appreciation at possession would be 50-60% of the sale value. 22) What is height of the roof? The height of the roof is 10 feet. Project has 75% of carpet area. 24) What is the open space? The space consumption for the project is 30% for construction and 70% open space. 25) What if I need additional car? For an additional car parking an amount of Rs.3.5 lakhs has to be paid and allotment will be done on request. 26) What is service tax and registration cost? The service tax and registration cost would be 12.36% and 6.6% of the sale value. 27) What Khatta is this? It is ‘A’ Khata project. 28) Will I get Occupational Certificate? Yes, The certificate will be issued during Possession. 29) Can I do some modifications? No, the modifications are not allowed which may affect the actual architecture. 30) Is payment in Cash accepted? No, It should be either through cheque or DD. 31) What will be the compensation on delay? The delay compensation would be the Rental compensation on the basic sale value. 32) What will be the lock-in period? The lock-in period will be till Possession. 33) What will be the transfer charges to the builder? And will the builder buys the unit back? The transfer charge would be 4% charges per sft. And on special request the units can be sold back to the builder. 34) What will be the cancellation charges? The cancellation charge will be 50% of the sale value till agreement. 35) What about Car parking space? The space allotted for the car parking is 10X10. 36) What is the process of registration and when does registration take place? Registration takes place after the completion of the project. 37) How many lifts are available on each tower? And how big is the service lift? 2 lifts are present for each tower. 38) How is Water facility and Source of Water? The major source of water is the Bore well water as well the Cauvery water connection. 39) What are surrounding and upcoming developments in nearby? Brigade is coming up with commercial project and office spaces. 3 other residential projects in the same road. These are the upcoming developments in the surrounding area. 40) What will be the UDS of project? UDS have not been disclosed yet. 41) Can I have Discount on prices? No, The prices are fixed and no negotiation is allowed. 42) Where is the nearest metro station to the project? Upcoming metro station is Nagavara station. Swimming pool, Party hall, Indoor Games, Club House, Children’s Play area. Brigade Group was established in 1986, with property development as its main focus. Today, Brigade Group is one of South India’s leading property developers. We are headquartered in Bangalore, with branch offices in several cities in South India, a representative office in Dubai and an accredited agent in the USA. We have a uniquely diverse multi-domain portfolio that covers property development, property management services, hospitality and education. Our projects extend across several major cities in South India: Chennai, Chikmagalur, Hyderabad, Kochi, Mangalore and Mysore. Brigade Plumeria is ongoing project coming up in Kanakapura Road with 2 & 3 BHK Apartments. This Integrated Enclave is spread across 60 acres . 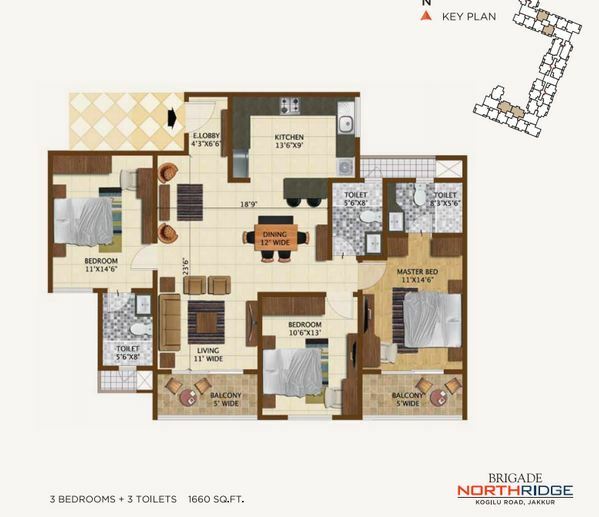 Brigade Orchards is new pre launch project in Devanahalli East Bangalore. It offers 2,3 & 4 BHK Apartments. Brigade Lakefront Crimson is located in Whitefield Bangalore. It offers 2 and 3 BHK apartment units starting at an reasonable prices of at just Rs. 75 lakhs only. 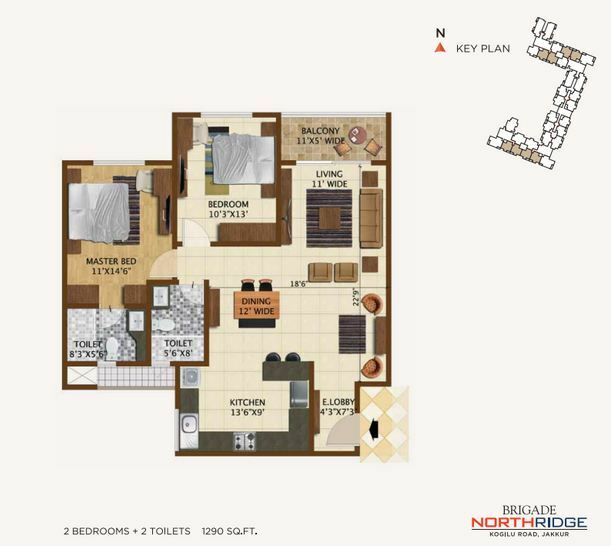 Brigade Laguna is new pre launch residential apartment located in Off Hebbal North Bangalore. It offers 3 BHK Apartments. Brigade Buena Vista is new luxury residential apartment in Old Madras Road Bangalore. 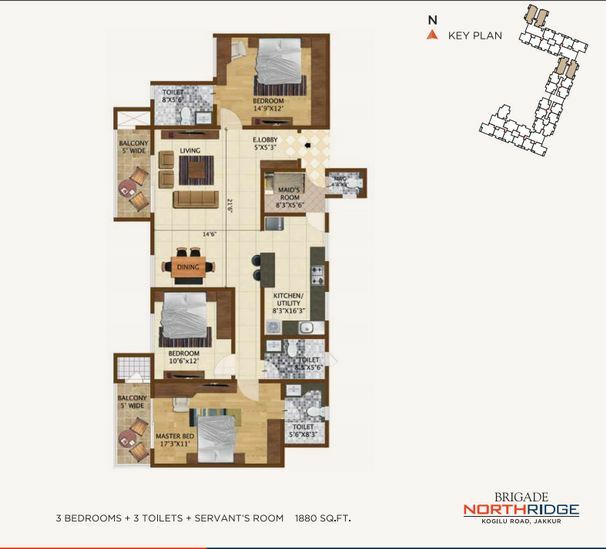 It offers 1, 2, 2.5 and 3 BHK residential Apartments, with price: Rs 3900. Brigade Atmosphere a pre launch premium courtyard villas offering 4BHK units built in 18 Acres vast land area. Located in Kanakapura Road,Bangalore, with 108 units. Brigade Panorama is a project under development by Brigade Group. 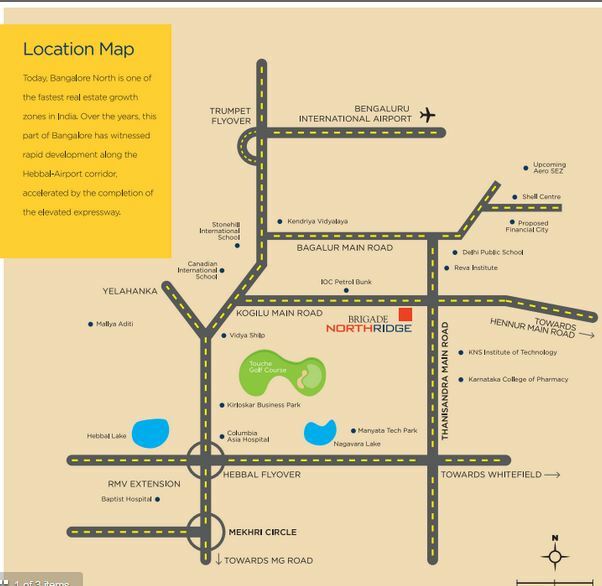 Situated in Mysore Road, Bangalore, with 1000+ Units. 11 Acres of land area. Brigade 7 Gardens pre launch project in Banashankari 6th stage Bangalore. It consists of 2 & 3 BHK Apartments. How is the project. Has the construction started?